#977, Jul 10, 1986, #977. I. Lula Elizabeth Whiddon (b. 17 Nov 1881, d. 3 Dec 1960) married William D. Wingate on 23 Dec 1900. They had six children. II. William Elza Daniel Whiddon (b. 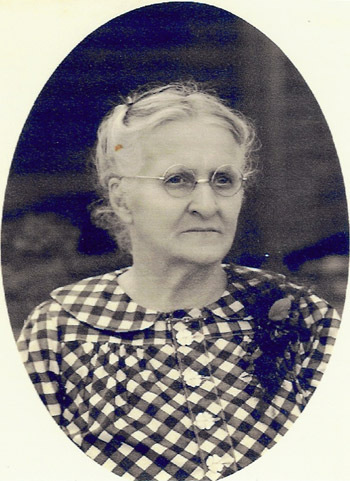 9 Feb 1884, d. 17 Apr 1965) married Lola (Lollie Mae) Reynolds (b. 6 Feb 1885, d. 31 May 1965) on 3 Apr 1904. They had nine children. III. Anna Bula Whiddon (b. 18 Feb 1886, d. 6 Jul 1953) married Homer E. Clements (b. 29 Oct 1879, d. 18 Feb 1961) on 3 Jan 1904. They had two children. IV. 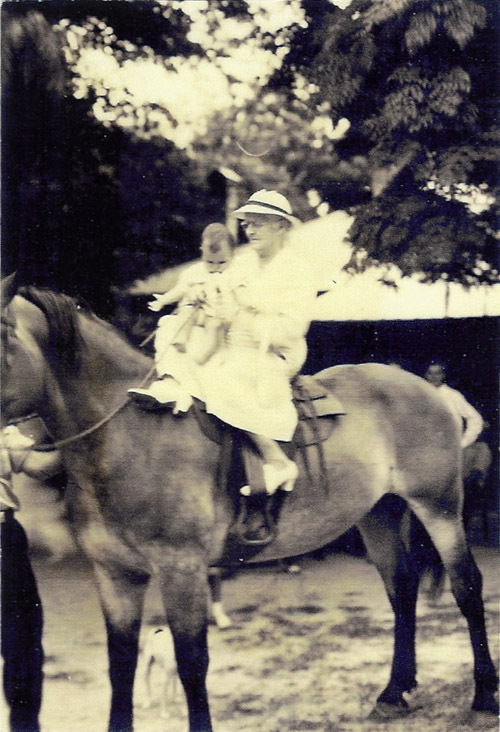 Harriet Everleena Whiddon (b. 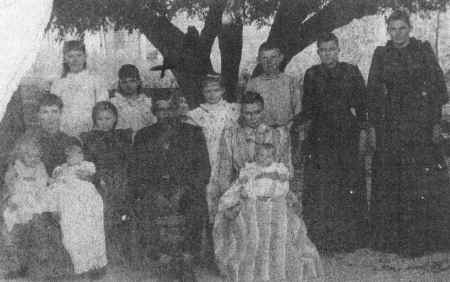 19 Mar 1888) married E. Mannie (Emanuel) Aultman (b. 1 Feb 1883) on 22 Oct 1905. They had two children. V. Green Manasseh Whiddon (b. 18 Aug 1895, d. 1979) married Maggie Arnold (b. 13 Jl 1893) on 22 Apr 1917. They had two children. My father is Jack Whiddon. He married Marilyn O'Nita Wade on 10/5/1961. They had the following children: Kurt Jerome Whiddon, Lori Jill Whiddon, and Amie Noelle Whiddon. * In January 2005, Laura S. Deariso wrote to say that William and Lollie's daughter Janice spells her name Janaiece. Researcher* Jul 2012� Alice Jones is pursuing an application to the Colonial Dames based on her Culpepper ancestry. L. A. Culpepper and G. G. Whedon on 20 Jan 1881 in Worth Co., GA, Book 1, p. 322. E-mail written Mar 2004 from Scarlett Wishum Woodard, e-mail address. E-mail written Jan 2005 to Warren L. Culpepper from Laura S. Deariso, e-mail address. E-mail written July 2005 to Warren Culpepper from Susan Deneise Wishum Torres, e-mail address. 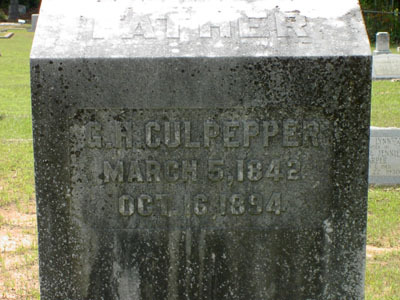 David Culpepper and Mary Geedes on 17 Nov 1881 in Worth Co., GA.
Mary Culpepper, Wife, F, 48, md, GA/GA/GA. Infant daughter of D. F. & A. M. Culpepper, 14 Sep 1884 - 14 Sep 1884. 1840 Census 1 Jun 1840� David was probably a free white male, age 15 and under 20, in Chadwell Culpepper of Dooly Co., GA's household, on the 1840 Census on 1 Jun 1840 at Dooly Co., Georgia. David Culpepper and Argent Sutton on 11 Feb 1851 in Dooly Co., GA.
1840 Census 1 Jun 1840� Queen was probably a free white female, age 10 and under 15, in Chadwell Culpepper of Dooly Co., GA's household, on the 1840 Census on 1 Jun 1840 at Dooly Co., Georgia. Obituary: Departed this life in Dooly County, Ga., on Monday night, 4th of October, 1880, Mrs. Queen Ellen Slade wife of Jeremiah Slade, and daughter or Chadwell and Frances Culpepper. Sister Slade was born March 6th, 1827 . She was married to Jeremiah Slade on the 2nd of September, 1858. Joined the Baptist Church at Ebenezer in August, 1846, and was baptized by the Rev. Mr. Lunsford, where she remained a member up to the time of her death... Ebenezer church has lost a good member. Her husband a loving wife and her son a devoted mother... R.M.D. 1840 Census 1 Jun 1840� William was probably a free white male, age 10 and under 15, in Chadwell Culpepper of Dooly Co., GA's household, on the 1840 Census on 1 Jun 1840 at Dooly Co., Georgia. 1840 Census 1 Jun 1840� Jefferson and Henry was probably a free white male, age 5 and under 10,in Chadwell Culpepper of Dooly Co., GA's household, on the 1840 Census on 1 Jun 1840 at Dooly Co., Georgia. Mr. Jeff C. CULPEPPER, aged 71 years, a well known Confederate veteran, died at his residence, No. 1333 Twelfth avenue, east of the city, at noon Monday. The funeral occurred yesterday afternoon, the interment being in Girard cemetery. The circumstances under which Mr. CULPEPPER, or rather under which he was stricken, were rather peculiar. It seems that Saturday night he and another man were going up Wynn's hill when they both fell into a ditch. The man stated that he himself fell, but that Mr. CULPEPPER did not strike the ground, as he was able to reach him in time to prevent his striking the ground violently, and let him down rather gently. It seems that Mr. CULPEPPER never regained consciousness. He was carried into a house nearby and later carried to his home. He was waited upon by Drs. GILL and COSBY, but he had sustained a fatal stroke of something like apoplexy. Paralysis was brought on by the rupture of a blood vessel in his head. His family thought that he had met his death as a result of foul play. There was a bruise on his head, and other bruiseJefferson C. Culpepper about his person, from which ___ was raised that he had been roughly bandied by someone. The coroner was summoned but decided not to hold an inquest, as he did not think the county would pay for it. The family were anxious to have an inquest held, but did not have the funds with which to pay the jury. One of the doctors said last night that he was inclined to think that there was nothing in the theory of foul play; that [since] Mr. CULPEPPER was quite old, and possibly the blood vesselJefferson C. Culpepper in his brain were distended, he might have sustained paralysis, which cause him to fall down, or possibly the shock of the fall itself burst some of the blood vessels. Mr. CULPEPPER served in the war as a member of Company C, Seventeenth of Camp Benning. He was a member of Camp Benning, and a number of members of the camp attended his funeral. Besides his wife, Mr. CULPEPPER is survived by two sons, Mr. Jesse CULPEPPER, whose whereabouts are not known, and Mr. Robert CULPEPPER, of Columbus, and two daughters, Miss Ophelia and Miss Fannie May CULPEPPER, both of this city. One brother, Mr. John CULPEPPER, of Columbus, and one sister, Mrs. Caroline ADAMS, of Heard county, Georgia, also survive him. Obituary of Jeff C. Culpepper (#3284), published 31 Dec 1902. 1840 Census 1 Jun 1840� Mary was probably a free white female, under five years old, in Chadwell Culpepper of Dooly Co., GA's household, on the 1840 Census on 1 Jun 1840 at Dooly Co., Georgia. 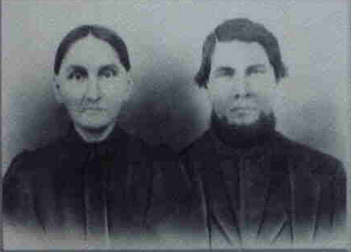 Samarious Griffin, 13, F, GA.
William B. Culpepper and Ruth Ann Slade on 15 Feb 1869 in Dooly Co., GA. Biography* � Henry Culpepper was born in 1781, probably in Anson County, NC. John Culpepper, believed by this writer to be Henry's father, moved from Anson County, NC, to Washington County, GA, perhaps as early as 1786. Henry grew up in Washington County. He married his wife Edith there around 1802. He was about 21 years old and she was about 16. Edith's maiden name is not known, but she was probably the daughter of a nearby landowner, perhaps named Smith or Allen, since these were middle names she used for her sons. Smith seems most likely, as there are several Culpepper and Smith connections going back to Anson County, NC. Henry's father John probably gave him a good bit of land about the time of his marriage, and he seems to have purchased additional land there as well. But Washington County records prior to 1852 are lost. In December 1811, the area in Washington County where Henry lived, on Big Creek, which flows into the Oconee River, became part of Laurens County. By then, Henry was 30 years old and was an established and successful planter. Laurens County deed records give no indication that he purchased additional land in the newly formed county. In February 1812 Henry was appointed overseer on the road from Beaty Ferry to Sandersville. He was also named on the committee to apportion work on the roads east of the Oconee River. This is another indication that Henry was someone of prominence in the section of Laurens County east of the Oconee River (formerly Washington County). In November 1818, Henry Culpepper sold 300 acres in Laurens County to Sampson Culpepper of Jackson County, GA. The land was an original grant to John Reeves and Reuben Wilkinson in January 1799, in Washington County, GA. Witnesses were Thomas O'Neal (perhaps a relative of Henry's first cousin Eleanor Culpepper, daughter of Sampson Culpepper, who married William O'Neal about 1799), and David Culpepper, thought to be Henry's brother. Henry named a son David in 1811. Henry was in the 1820 census of Laurens County, living near Sampson Culpepper, Jr., son of John and Aggy Culpepper. (Sampson's widow Martha sold her 200 acres on "Big Creek, Buckeye Creek" in 1828). Henry and Sampson were probably brothers. David and Elijah Culpepper were also in the 1820 Laurens County census, living nearby, and were probably Henry's brothers as well. By 1820 Henry and Edith had four daughters and three sons, ranging in age from one year old to sixteen years old. A final daughter was born in December 1821. Henry was only 40 years old when he died in January 1822. No obituary has been found, so the circumstances of his death are unknown. He might have died in a farm accident, succumbed to a fever, or to appendicitis. The inventory of his estate lists nine slaves, indicating once again that he was a prosperous planter. Davis Smith, perhaps his wife's brother, was appointed administrator of his estate. Among the buyers at Henry's estate were his brother David Culpepper, Martha Culpepper, probably the widow of Henry's brother Sampson (Henry had a daughter Martha, but she was only aged fourteen), John Smith Culpepper (Henry's sixteen year old son), Davis Smith, Hughs Smith, James Hogan, and other relatives, including Henry's nephew Benjamin Culpepper, son of David Culpepper, and James Hightower, who had married Henry's eldest daughter Sarah in 1821. Edith Culpepper was appointed guardian of her minor children in 1830, with Russel Kellam and Jonathan Parker as securities. Russel Kellam was probably a kinsman of Seth F. Kellam, who married Mary Culpepper, daughter of Henry's brother David Culpepper. In 1831 Russel Kellam and David Culpepper, Henry's brother, were among those appointed to divide the Henry Culpepper estate. In October 1839, the heirs of Henry Culpepper sold the 150 acres where Henry's widow Edith Culpepper had lived (apparently she was just then deceased) to W. L. Mason. (Laurens County Deed Bk. K-325). This may have been land originally granted to John Culpepper in Washington County. The following transcription by Warren Culpepper was made from photocopies of some pages found in the early 1990s in an old trunk inherited by a descendant of U. G. B. Hogan, orphan grandson of Griffin Hogan. The pages appear to be from an old family bible maintained by a descendant of Henry and Edith Culpepper, and all entries are for this couple and their children. All of the entries appear to have been made by the same person and at the same time, presumably not long after the final entry in 1876. 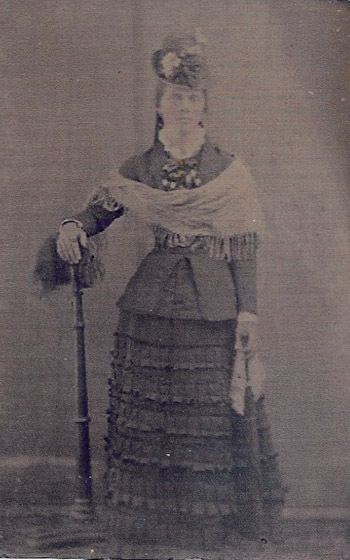 Most likely, the recorder was the youngest daughter, Elizabeth Culpepper Adams. The numbers in parentheses are person numbers for records in this family tree. John Culpepper, 1M16+, 1M<16, 3F. "Edith Culpeper was born Feb 4, 1786." Edy Culpepper, widow of Plummers District, Laurens Co., GA, drew lot 9-4 in Carroll Co., GA, 23 May 1827. Eady Culpepper, Widow, Martins District, Laurens Co., GA, drew lot 76/1/3 in what became either Paulding or Cobb Co., GA, 1832. Soldiers to the Field! -- In addition to the troops already on the way to Florida, the Governor has ordered the following Volunteer Companies of Cavalry to march without delay, viz: The Macon Independent Horse, Capt. Johnson; The Twiggs Cavalry, Capt. John L. Gresham: The Buckskin Hussars, from Dooly, Capt. David Graham and the Butts Cavalry, Cap t. Thomas Wilsonmaking in all, about four hundred. Yours under date of the 13th. Jan last is rec'd and in compliance to your odre I called my men together, after which I made return to his Excellency, which perhaps might have been miscarried as I have not rec'd, any answer or futher order or information, consequently, have thought proper to address you on the subject, and give you a list of the officers and men under my command. We are ready as soon as arms and the necessary equipment for war are furnished us, to march. I herewith send the names and numbers of officers and privates under my command. David W. Culpepper, Martins District, Laurens Co., GA, drew lot 256/9/1 in what became Union Co., GA, 1832. David W. Culpepper, 40 slaves: 49M, 35F, 30M, 30F, 28F, 26F, 25F, 23F, 23M, 23F, 23M, 23F, 23F, 22M, 22M, 22F, 20M, 18F, 17F, 16F, 16M, 16F, 15F, 15F, 15M, 14M, 14M, 13M, 11M, 10F, 9F, 9M, 6M, 6M, 5F, 3F, 3M, 2M, 1M, 1M. E-mail written 2000/2001 (Some information is from Hunt family Bible in possession of Glenna Holland of Culpeper VA) to Lew Griffin from Nita Phillips, Reno, NV. 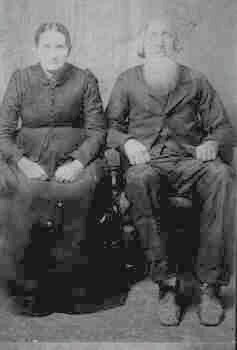 E. A. Culpepper and Susan Duke married 29 Oct 1849 in Yalobusha Co., MS.